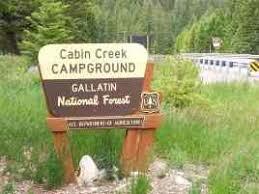 This campground is located about halfway between Hebgen Reservoir Lake and Earthquake Lake. The entrance to West Yellowstone is 24 miles south. This is bear country, so safe food storage required. Fishing is available in both lakes for German Brown, Rainbow Trout, and Utah Chubs. 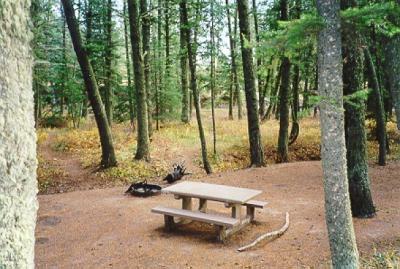 There are 15 sites with tables and a fire ring. Vault toilets and 4 water spigots are available. Open seasonal May 26 through September 30. $15/day fee with a 16-day maximum stay. DIRECTIONS: From West Yellowstone, MT, take US Rt. 191/287 north 9.2 miles to where US Rt. 287 branches off. Turn left, following Rt. 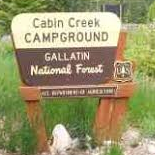 287, and go 14.1 miles to campground sign. Turn right into campground.